Ratio Blaster is an arcade style game which provides practice in finding equal ratios. Hits and misses are recorded so you can track your progress. Quick fire subtraction sums against the clock. This is a space invader type game with subtraction sums less than 20. Just the thing to sharpen your mental maths skills. Are You a Math Magician - Addition? 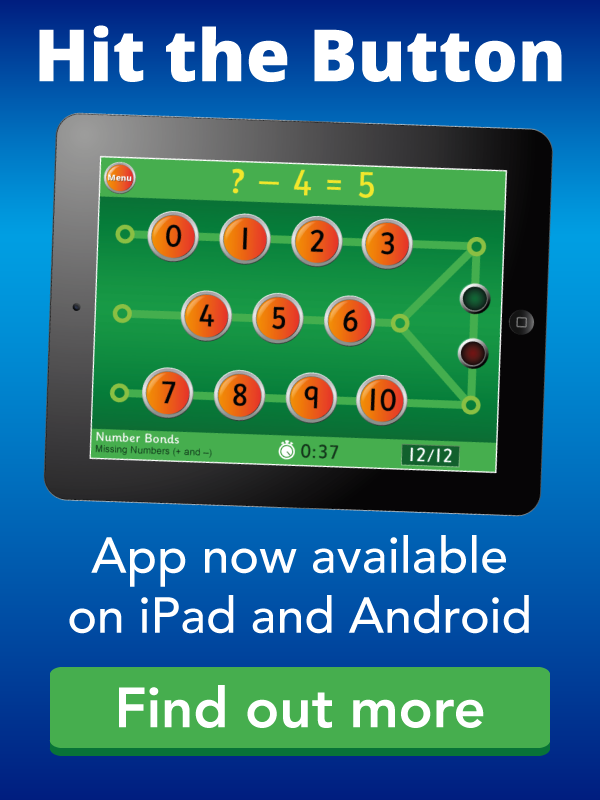 Sharpen your mental maths addition skills here against the clock. Use your subtraction skills to play this bowling game. You may use a pencil and paper to help you solve the problems. A maths game where you need to find the start time after a given time interval. Find the correct time on an analogue or digital clock. Lots of choice of level, including: subtracting 1 hour, multiples of 5, or 10 minutes and more. A game which helps you to learn division. Tanks with division problems move towards your blaster. Fire at the correct problem to save your blaster from destruction. Good for sharpening mental maths skills. Counting, ordering, sequencing, number bonds, addition, subtraction, multiplication and more, all set around the theme of Spring. A flexible matching pairs game which can help you to tell the time.